A high-quality hockey skate. With embossed heel caps and ankle padding, microfiber Heel Support, thermoformable and light. 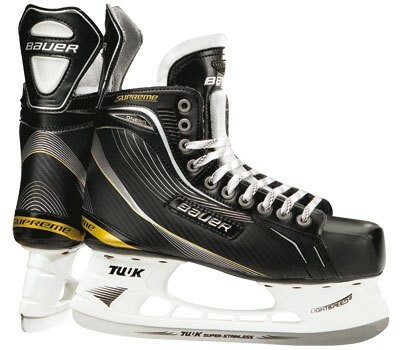 Bauer Supreme ONE60 Hockey Skates - Jr.
Ice skate with this you are very highly equipped and go for the next match perfectly. The skate is super comfortable and perfect fit, but should one be ordered slightly larger.